The brief was to launch the new concept Defender in a truly memorable way. 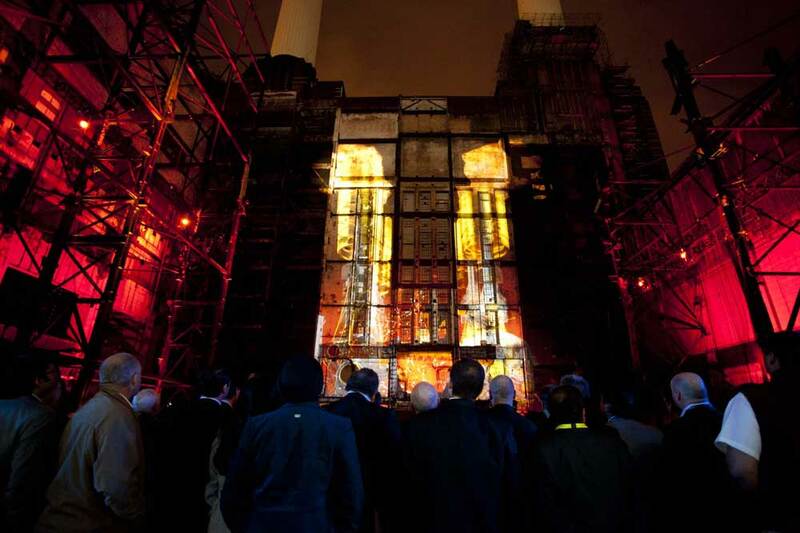 We came up with an idea to projection map onto Battersea Power station creating a spectacle worthy of the global launch of such an iconic car. The film was around 2 minutes longs and supported by lasers, a massive sound system, an inked lake and water cannons. I creatively led the 6 week project from initial conception to the final unveiling, my role included choosing the location, storyboarding the animation, liaising with production team Marshmallow Laser Feast and presenting the progress back to the client.